We have spoken in infinite occasions about carbohydrates and about the sources where we can obtain them. We in this occasion we want to stop in the best sources of hydrates for the diet of any athlete . Therefore we recommend that you take this review into account to know more about them. 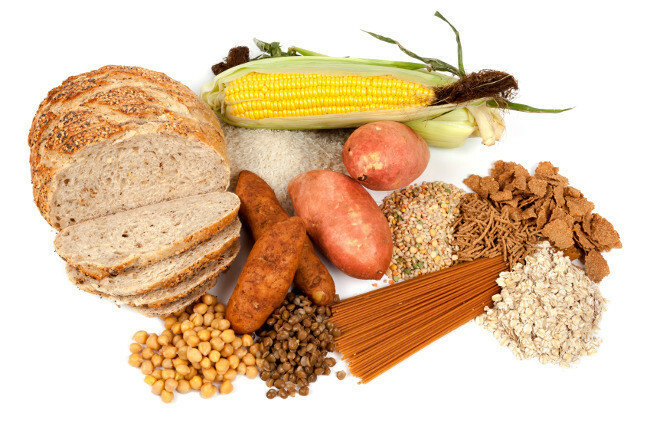 In recent times carbohydrates have been demonized and everything that has to do with them. In fact many diets avoid them altogether. We want to claim their consumption, and that is that hydrates are the main source of energy of the body, and without them we will never have the batteries charged to be able to face the activity. First of all it is very important that we bear in mind the importance that hydrates have in any sports diet , since their bodies get the glycogen they need for the muscles to work. The problem usually appears when we do not know how to choose the type of carbohydrate that we are going to put in our mouths. To know it a little better we want to review the most appropriate and habitual ones. First we are going to stop at carbohydrates of vegetable origin. When we talk about vegetables, it immediately comes to mind that it is healthy and not at all caloric. But plant foods are the main source of carbohydrates that we know and they can derive infinity of variants. Cereals are one of the main sources of carbohydrates that athletes often use. Wheat, oats, rye … All of them are cereals that provide us with hydrates, but it is important to keep in mind the glycemic index that they will give us . Above all, this point will depend a lot on its treatment and elaboration. The best way to accumulate energy is to consume whole grain cereals . In this case the cereals retain all their parts, that is, they are not refined, which makes our body take longer to digest them. This will help us to get constant and slow energy. The glycemic load will be constant and we will always have the batteries charged to face a sports activity. In the opposite case we have the refined flours coming from cereals . In this case the process of making that flour is more elaborate, but it eliminates the parts like the crust, and everything that turns that cereal into a source of complex hydrates. In this case the hydrates that will bring us will be simple, that is, our body will digest them quickly and assimilate at great speed. This rapid assimilation causes the body’s glucose levels to rise and fall . When the digestion is finished, the glucose increases enormously and if we do not consume it through exercise, the body will tend to regulate those levels. The way to do it is always accumulating that excess glucose in the form of fat. Among the options that we have at our disposal we are going to opt for some such as brown rice . This food is always highly recommended in the sports diet because it is a whole unprocessed grain. Brown rice is consumed as such and therefore its nutritional value is very high. It is a food rich in fiber that helps us keep our body purified, in addition to helping us control the levels of glucose in the body, being complex carbohydrates that will keep us sated for longer. Quinoa is another important source of hydrates and highly recommended in the diet of the athlete. Actually it is a seed or pseudo grain. For this reason quinoa contains more amounts of protein than other grains such as brown rice, specifically 5.5 grams per 100 and 3.5 grams of fiber. All this, together with the fact that it contains complex hydrates, make this food a perfect ally in any sports diet, as it will help us recover and continue to help us build muscle. Whole- grain oatmeal is another cereal that should not be lacking in the sports diet. It is an important source of complex hydrates that will help us to have the batteries charged. Along with this, its high fiber and protein content must be highlighted. Oatmeal is a very satisfying food that in addition to helping us consume less food will keep us from hunger for longer. Potatoes are another type of vegetable that has been kept out of the diet for a long time, and this should not be the case, as they contain high amounts of complex carbohydrates of great biological value. Of course, it is important to prepare them properly. Cooked steamed or roasted in the oven is the best way to consume them and be the dose of carbohydrates we need in a meal. In the world of fruits we have other clear exponents of important sources of carbohydrates that every athlete should have in mind. The mango is a clear example of this, since it contains low amounts of calories, specifically around 135 per piece of fruit and a high biological value. Along with this we must highlight its high content of vitamins and antioxidants such as beta carotene and vitamin C. If we add its high fiber intake, we will achieve that this food in addition to giving us energy, it becomes an important source of nutrients. The banana is another important source of carbohydrates that should be present in the sports diet. It is true that in slimming diets is eliminated because of its high fructose content, but in the case of athletes is a potent restorative after exercise, in addition to providing us with fundamental minerals such as potassium or magnesium. Along with this, we must highlight the quantities that vitamin B6 and C offer us. In the world of vegetables we have some clear exponents that are worth highlighting. The zucchini is one of them. It is a very good and natural source of hydrates of great biological value. But also, the most important of the zucchini is its high fiber intake that will help us stay healthy and make us feel more comfortable while leaving the body the energy it needs. Legumes or grain vegetables such as beans are very beneficial for the body, as well as being a good source of carbohydrates. This type of food is highly recommended in the diet due to its high content of insoluble fibers of slow digestion. This is what makes the glucose release slow and constant. This type of food will help us regulate blood sugar levels, in addition to reducing cholesterol levels and thus improve overall cardiac health. We must not forget the green leafy vegetables on this list . All of them containvery good quantities of complex hydrates, since in their composition they all have high amounts of fiber that gives them a high nutritional value. In addition to being an important source of vitamins and antioxidants derived from its high chlorophyll content. All this will help us achieve much better health and greater performance when exercising. First of all it is necessary that at each meal we respect the norm of the third , that is, we must include one third of proteins, another of complex carbohydrates and another of healthy fats for the organism. For this it is necessary to know the composition of the food and to know the amount that they will contribute at that moment and with respect to the global calculation of the day. Always when choosing a source of carbohydrates is better to opt for natural . Leaving aside the processed is essential if we do not want to fall into deception and errors that in the end will check our health. Whole foods should always prevail over refined people. This word must be a maxim, and as such it is necessary that we take it into account in order to avoid glucose peaks that make our body tend to accumulate fat and produce bad quality cholesterol. Vegetables are always a reliable source of carbohydrates . It is advisable to eat them whenever you can raw or steamed to preserve all their properties. Avoid dressings rich in fats and refined sugars is essential to maintain their healthy nature and get them to be a true source of good quality carbohydrates.